In the wake of President Obama’s proposed executive action to address immigration issues announced last month, federal, state and local government officials are gearing up for an expected upsurge in immigration services fraud involving con artists using the Spanish term “Notario Publico” to mislead victims. “Notario” scams targeting immigrants spike following immigration-related announcements by federal and state officials. 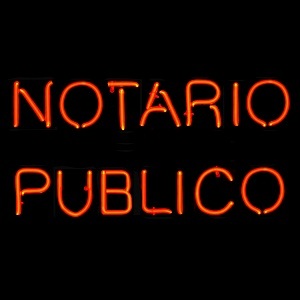 Many of these scammers use “Notario Publico” or other foreign-language titles for Notaries to falsely claim they are qualified attorneys or immigration consultants. Unlike U.S. Notaries, “Notarios Publico” in Latin countries are licensed attorneys having considerably greater authority to draft and record documents and provide legal advice. Scammers making false claims confuse and convince victims into thinking they can perform the same services as Notarios in their countries of origin. U.S. Citizenship and Immigration Services (USCIS) issued a warning against dishonest individuals offering fraudulent advice or services for a fee before applications under the President’s executive order are accepted. “Unauthorized practitioners of immigration law may try to take advantage of you by charging a fee to submit forms to USCIS on your behalf or by claiming to provide other special access or expedited services which do not exist,” the organization warned in a public message published last month. The USCIS warning is being echoed by law enforcement officials, immigrant rights groups and legal professionals across the country. The Attorneys General of Washington, California and New York, for example, have issued consumer alerts warning against scams targeting immigrants. The consumer warnings also serve as a reminder for Notaries to be careful to avoid the unauthorized practice of law when dealing with immigrants who may not understand what the Notary’s role is. Even before the President announced his executive order, a number of states enacted or strengthened their laws governing how Notaries can advertise their services to foreign-born signers. Among them, Nebraska, South Carolina and West Virginia and others have passed laws prohibiting Notaries from using foreign-language translations of “Notary Public” in advertising to defraud immigrants. With 41 million foreign-born residents in the U.S., according to the U.S. Census Bureau — including more than 11 million undocumented immigrants — just about any Notary might be approached for immigration assistance. So it’s important to make sure Notaries understand what they can and cannot do under state laws. Additional information on state Notary laws related to foreign-language advertising and “Notario” restrictions is available at our searchable Law Updates database. You also can contact the NNA Hotline.